Browse items on the open shelves and borrow them at the Self Lending machine. You can also borrow items from the closed stacks (incl. the Jesuit collection). These are not accessible to visitors. To request items read below: Requesting items from the closed stacks. Need help? Take a look at the instruction video “How to borrow”. Ask library staff at the information desk. This desk is located on the ground floor of the Inner City Library and at level 1 in the Randwyck Library. Loan period: max. 4 weeks. Are there items I can’t borrow? Jesuit collection: all literature older than 1900. The lending restriction also applies to valuable books from after 1900 and volumes whose state is too fragile to allow lending. 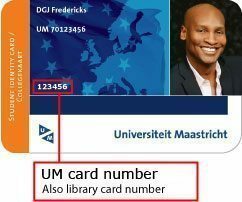 Whenever books and journal articles are not available in the library collection, you can apply for them at a Dutch or foreign library. You can return your borrowed items in the ‘book return boxes’ (e.g. at the entrance) or at the information desk. Do you need a return receipt? Contact the information desk. OU employees can return books to the Logistic Service Point in Heerlen. How can I reserve items? Need help? Take a look at the instruction video “How to reserve books”. When and where can I pick up reserved items? As soon as the item is available you will receive an email. You can pick up your reserved item at the Self-service point in the specified library location during library opening hours. OU staff member? Your reserved items will be sent to the Logistic Service Point in Heerlen. A part of the (older) collection is kept under special conditions in the closed stacks. These are not accessible for library users. You can request available items from the closed stacks. You need a valid UMcard. How to get items from the closed stacks? You will receive an email when the item is available at the Self-service point (books) or information desk (journals) of your chosen library location. Journals will remain available at the information desk for 1 day (until 17.00). Books will remain available at the Self-service point for 6 days. OU staff member? Your requested books will be sent to the Logistic Service Point in Heerlen. You can still find these titles in LibSearch. How to access these publications? You can either request the books to be sent to the Maastricht University library, or go to Leuven yourself. Please note that these books are for reference only. do you need help? Take a look at the instruction video “How to borrow”. You can easily renew your loans yourself via LibSearch. It is not possible to renew your loans if there is a reservation for your item or if you have an outstanding fine. We provide a courtesy email service to let you know when items are overdue. But it is still your responsibility to know when the item is due, even if you have not received / read this email. You run the risk of paying a fine. Don’t borrow items for somebody else on your account. You are responsible.